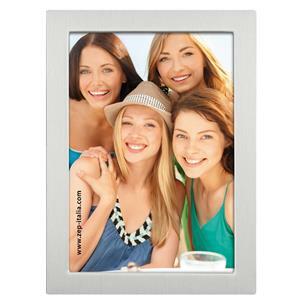 This is an incredibly slim, lightweight frame which will take a 8x6 photograph. It is very versatile as it will stand or hang in both landscape or portrait mode and the photograph is easily slipped into the frame from the side. It measures approximately 9x7 overall and is availble in other sizes.